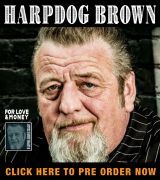 Arkansas native Mark Searcy Middleton learned how to play the guitar as a child, abandoned it to raise a family and picked it up again after 15 years to rehabilitate himself after damaging several fingers in a work-related accident — and the world of acoustic blues is in a better place because of it. Now working professionally under his first and middle names and based out of San Antonio, Texas, for years, Searcy emerged from the musical wilderness to release one previous album before attracting attention for 2007’s Blind Man’s Blues, earned him a Texas Music Awards nomination for musician of the year. A man whose first love is pre-War acoustic music, especially Blind Willie McTell, Blind Willie Johnson and Robert Johnson, as well as a diverse group that includes T-Bone Walker, Freddie King, Wes Montgomery and Sean Costello, he captured that prize seven years — and five releases — later in 2013 for the instrumental CD, Hazepipe, which fused his skills in rock, jazz and blues. A top-five finalist in the national Telluride Blues Festival Acoustic Blues Challenge and a two-time semi-finalist at the International Blues Challenge, Searcy has devoted himself to acoustic blues ever since. 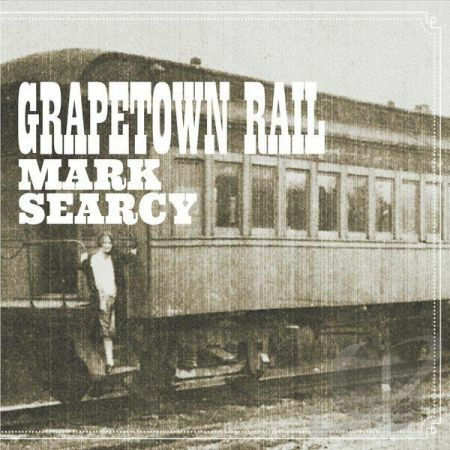 Grapetown Rail, the third disc since he returned to the format, is a bare-bones production that features Mark on resonator and acoustic guitars and vocals, accompanied only by harmonica player Rick Boss, who appears on two tracks. 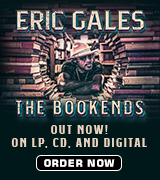 A haunting Spanish-influenced instrumental, “Gallows Callin’,” the first of nine originals, puts Mark’s prodigious six-string skills on display to kick off the 12-song set, tying perfectly into “Hangman Blues.” The latter picks up speed as it expresses fear that the executioner is on the singer’s trail after shooting two men in Dallas for messing with his family and then skipping bail. Searcy’s vocals are crisp and strong. Robert Johnson’s “Kind Hearted Woman” gets a warm treatment with Mark on resonator before a run of four new tunes with an old-time feel. “Homecooking” is a beautiful instrumental that hints of Stephen Foster’s “Oh Susanna,” while “Grapetown Rail,” aided by Boss, is a vocal tribute to workers who constructed a 920-foot tunnel for the San Antonio Fredericksburg And Northern Railroad, which went belly-up during World War II. “Chance In Your World” is a plea for love, while the instrumental “Rainmaker” cascades with some sensational picking. Available through Amazon, CDBaby or directly through the artist’s website (address above), Grapetown Rail is a delight. The state of Texas is so big that many musicians don’t travel far beyond its borders despite producing terrific albums. Pick this one up. You won’t be disappointed.